I have just uploaded a set of photographs to my gallery page. 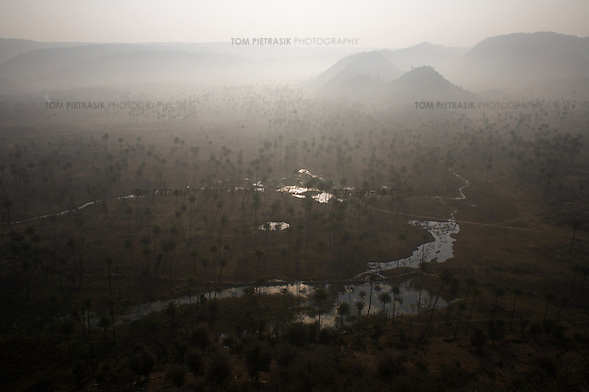 This story of tiger conservation in the Indian state of Rajasthan was commissioned just over two years ago by National Geographic Adventure magazine which has now sadly folded. 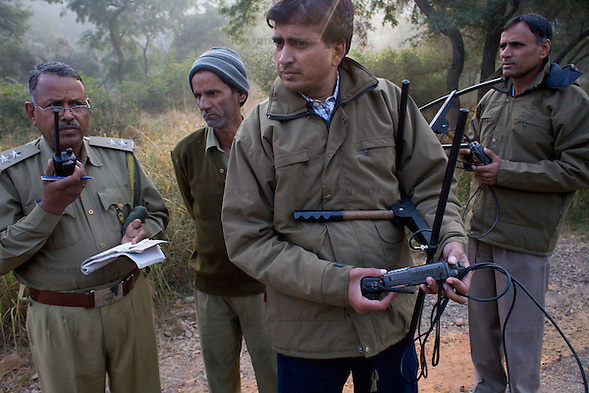 Accompanying me to Rajasthan’s Ranthambore and Sariska national parks was the writer Paul Kvinta whos critical story prompted an angry response from Rajasthan’s chief wildlife warden Ramesh Mehrotra. In his vexed letter, which seems only to have been published in the print edition of National Geographic Adventure, Mehrotra appeared slighted by Kvinta’s critique of Rajasthan’s tiger relocation policy. Mehrotra apparently considered that the fine hospitality and pleasant company he offered us obliged Paul to write a glowing report on the tiger conservation effort. 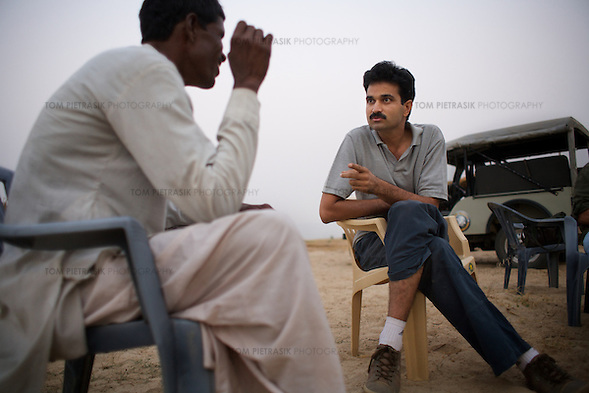 I have to say, I rather warmed to the avuncular Mehrotra on our journey through Rajasthan. 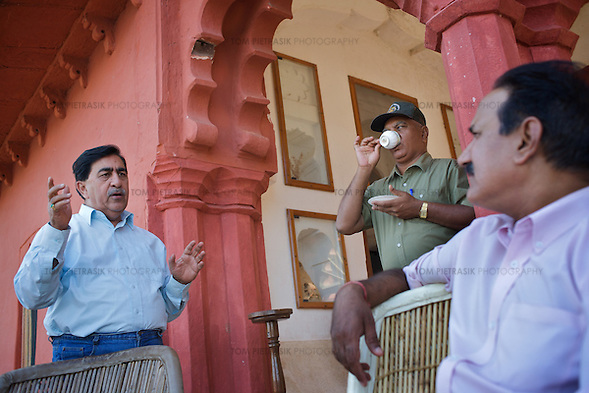 But he surely couldn’t have expected us to relinquish critical scrutiny and ignore the opinion of others – even if we were offered generous access to the parks and provided countless cups of tea accompanied by some particularly delicious samosas. With only 1,400 tigers left in India and a global population that has fallen by 95 percent in 100 years, the future looks bleak for these beautiful animals. 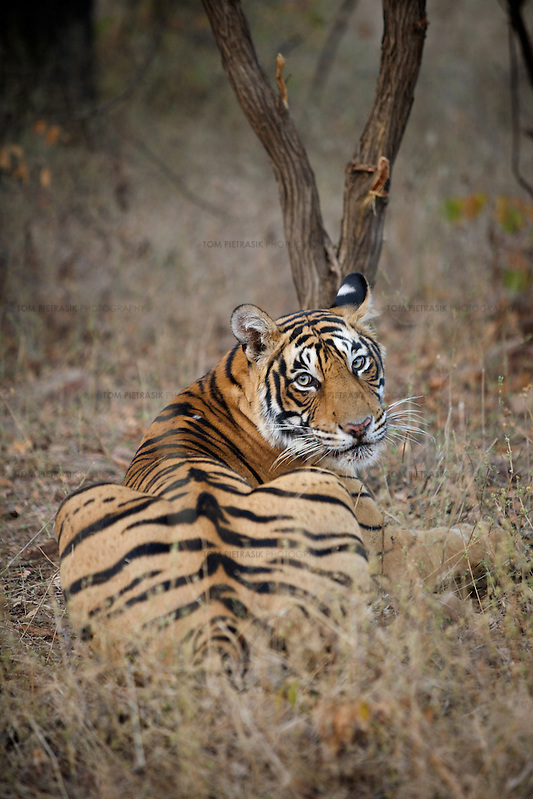 Indeed, just two months ago, one of Sariska’s recently relocated tigers died – the victim of poisoning by a local man. 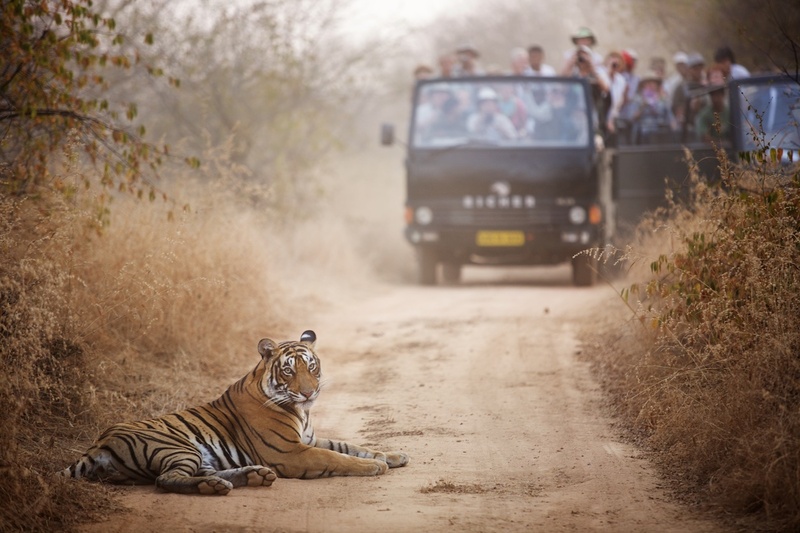 But how much worse it could be if the charms of official hospitality were ever to silence those who scrutinize policy and continue to argue that there are systemic problems with India’s tiger conservation strategy. Thankfully samosas and cups of tea never succeeded in censoring those like the tireless campaigner Dr. Dharmendra Khandal of Tiger Watch. Perhaps it was frustration with the incorruptible Khandal that saw park authorities attempt to bring charges against him last August when he photographed a tiger attack on the unfortunate ranger Daulat Singh Shaktawat.